On November 2, US Department of Justice backed judge and prosecutor Sergio Moro revealed that he has been repeatedly lying that he would never enter politics and will accept an offer to serve as Minister of Justice in the new government of right wing extremist Jair Bolsonaro. The fact that he would accept this position after arbitrarily arresting Bolsonaro’s primary opponent, Luiz Inácio Lula da Silva, in April on extremely flimsy charges, interrupting a beach vacation to prevent him from being released from jail, and illegally releasing audio files to a conservative TV network one week before the presidential election to incriminate leading opposition candidate Fernando Haddad, immediately drew cries of conflict of interest. These complaints were exacerbated when Vice President-elect, General Hamilton Mourão admitted that Moro met with Bolsonaro’s team before leaking the audio tapes. When Moro announced he will be an integral part of the Bolsonaro government, Lula’s defense team immediately filed a habeas corpus for his release, alleging that this move irreversibly damaged the argument of impartiality by the judge. Communicating to the press through his aids today, November 6, in Curitiba, Luiz Inácio Lula da Silva denounced Moro’s recent statement that he was arrested for committing crimes, noting that that the ruling does not actually specify any crime and presents no material evidence. Lula noted that Moro sentenced him to 9 years in prison and removed him from the presidential elections, opening the path for a neofascist victory, for committing “undetermined acts”. He further complained that Moro‘s judgment, made without identifying what crime was committed, is just one of the legal absurdities of the trial. Lula also said that Moro himself broke the law repeatedly, committing crimes such as illegal wire tapping to prevent the Brazilian justice system from functioning properly. He also said, “these are the actions that qualified him to be nominated to a ministry by Bolsonaro”. 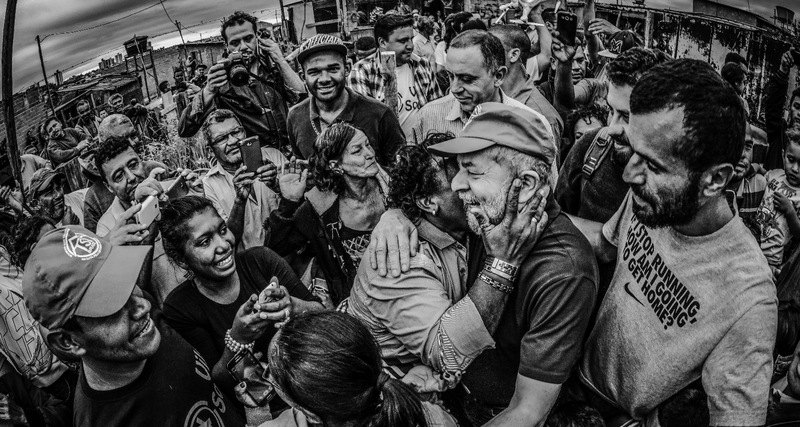 As the request for Habeas Corpus moves to the second Supreme Court group for review, it appears that this may be the last chance for Lula to get out of jail. With a neofascist who has publicly called on followers to kill PT supporters, and himself threatened to have all “communists” in the country arrested or exiled, and with a judge who has repeatedly shown bias during a US-backed lawfare persecution of members of the PT party, it is questionable whether Lula will ever be released once Bolsonaro takes office.